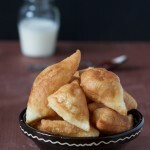 Make yours a perfect bite with these savory pastries with a hundred names: Balkan fried mini breads. 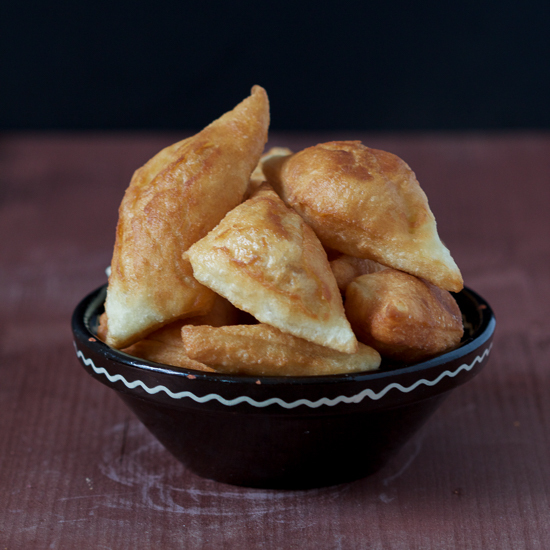 No food, not even pita, has as many names as these Balkan fried mini breads. Peksimeti is what they’re most frequently called. 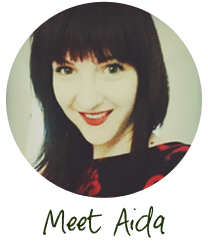 Yet they’re also called lokumi, mekeke, uštpici… even poderane gaće which in colloquial means ‘ripped underwear.’ This last, strange name, is due to soft dough, in the days of our grandmothers, having been “ripped” with hands before being thrown on some very hot oil. 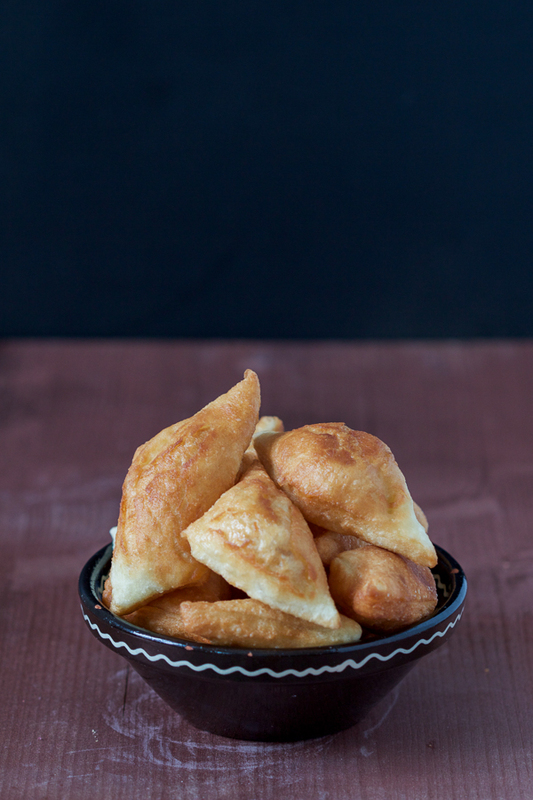 Fried mini breads are prepared similarly throughout the region. You start making them the way you’d do bread (except instead of water you use yogurt), and then continue as if you were making donuts (throw them in really hot oil). Regarding yogurt, it’s best if you can find the smooth, European kind. Otherwise, use regular Greek. However, smooth it out with a whisk until it’s completely liquid instead of its sturdy self. These are best when they’re warm to hot, right after the steam rushes out after you tear one apart. Top them with jams and preserves, chocolate spreads like Nutella, or savory spreads and cheeses, or fix up an appetizer platter. These great with everything! They’re usually breakfast food, but also a tasty bread substitute. And if you have a few left over (doubtful) they’re good cold too. Honestly, there is no wrong way, or time, to consume these. I’d love to hear your thoughts on these! And now we go back to our Libya story, and here is part one if you’re interested. We were not the only ones exploring our cultural differences while in Libya. Our neighbors often came to us with unusual requests. This one time they asked if we were ok if they named their baby daughter sarma, which they thought was the greatest name ever. It took convincing, but at last they backed off; it just happens that sarma is our word for stuffed cabbage. Another, subtle request, was to try our foods. 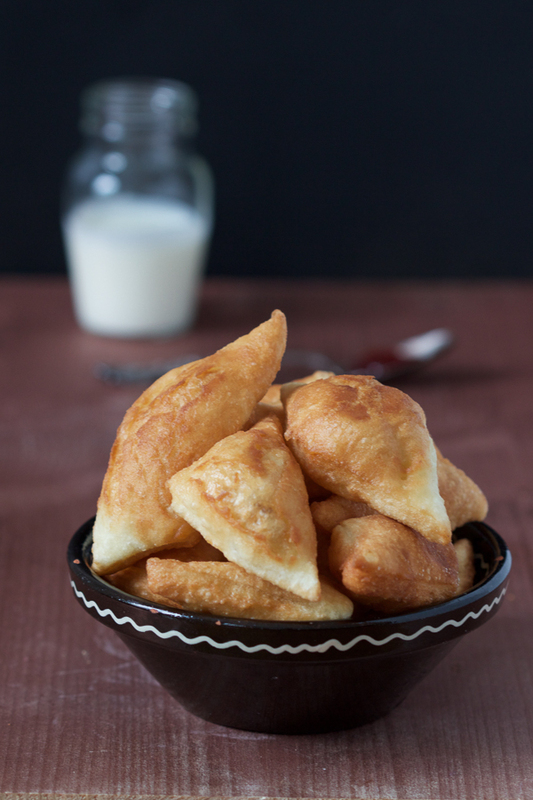 One of their favorites were peksimeti, small fried mini breads, something akin to doughnut balls. These hot delicacies delighted them. Although, I wonder if with all the exotic spices they used in their cuisine (and all the different ways in which they made fish, mutton, and chicken), our food was too bland for them? Or was it, to them, a rest from the ordinary, the door into an unusual psychology of these strange people that came from abroad. In either case, they showed only enthusiasm when we invited them over for dinner. To do anything else would have been an insult in their world, and they were proud, lovely people. I regret not remembering much, but from the stories I heard I had a few adventures of my own. For one I made my first friend, a little boy named Bedar a tad older than me. If he were a little boy in today’s world, he’d probably be diagnosed with ADHD at the very least. But for the times he was but a child with unbridled curiosity, and insatiable ability to move around and across quicker than a fly. We often got in trouble together, or as much trouble as I could, having just learned to walk. This one time he pulled an enormous dresser directly onto us. Bedar’s grandfather travelled abroad a lot, and it was a custom to bring back presents for everyone upon returning. This particular dresser held everything and anything that the grandfather brought from abroad: books, jeans, dresses, jewelry, shoes, figurines, food… It was hefty and heavy, and it was a small miracle we survived its fall. The most charming thing about Bedar was his vocabulary. It consisted of a rich arsenal of cusses. Due to mom and dad working a lot, and my siblings (not) watching me, I started mimicking him. Months later when we returned to Sarajevo, my grandmother (a practicing Muslim who had knowledge of Arabic but only in form of memorized prayers), was over the moon I spoke the language of her faith. Luckily, she didn’t know I was cursing her generously. But the experience I wish I had was the one shared by dad and sister. A part of dad’s duties as a doctor was to drive a mini ambulance into the desert every now and then, to tend to the sick and healthy. One time sister and dad drove into a deep dessert almost getting completely lost until a vision appeared in front of them. In the middle of nothingness that was the hot and dry sand, there arose a beautiful neighborhood made up entirely of several large enormous tents positioned in a large circle. From above, it must have looked like a flower, in whose middle was the nectar of life: an enormous hearth where all the women prepared food. Resembling dervishes frozen in the swift of movement, these beautiful tents held a culture so wild and precious it couldn’t be tamed by our world’s nick-knacks. Dad’s ambulance on wheels must have been as wild as having the circus arrive. As soon as they heard the van, and realized who it was, everyone came to see the doctor: the old, the young, women, men, children, babies… They would have brought the animals too if they could. Dad couldn’t turn anyone away because that would have been seen as a great insult. But he was well aware of the futility of his visits. After he gave everyone a physical, and determined which medicine (if any) they needed (if they didn’t he’d still pass out vitamins because everyone had to receive something), they’d walk away for a few yards and spill bottles’ contents into the sand. It was being seen by a doctor that excited them, but they did not believe in the efficacy of this “hocus-pocus” modern medicine. Under the bright skies of Libya, under the warm, irrepressible, and persistent Ghibli, we experienced some of the happiest, most innocent moments of our lives. In a deep bowl stir Greek yogurt until completely smooth. Combine with flour, egg, salt, and baking powder. Knead into dough. The dough should be thicker than pancake batter, but thinner than the dough for bread. Sprinkle your working area with flour generously. Transfer the dough onto it and roll out with a rolling pin until it’s the thickness of 4-5 pennies stacked together. Take a glass, dip the edges into flour and then make circles out of the dough. 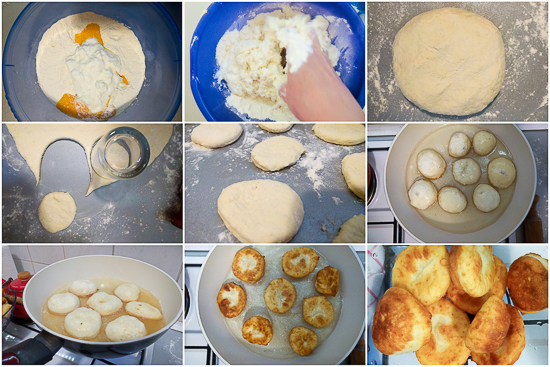 Collect the remaining dough, make into ball, knead, roll out and repeat. In a deep pan heat a generous amount of oil on high. Lower to medium and start adding the dough in. The breads will rise as they’re frying. Fry a couple of minutes on each side. Every now and then, lift the pan from heat and lightly shake from side to side. Place onto a paper towel so it collects the oil, then serve.